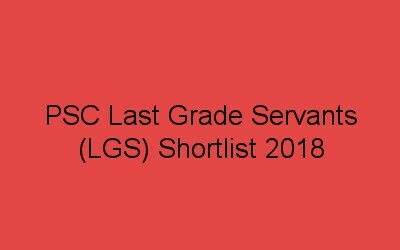 Kerala PSC LGS shortlist/ LGS shortlist (Category No : 071/2017) will be published soon. Candidates can check their LGS District wise Shortlist 2018 / Main list at www.keralapsc.gov.in. Kerala PSC has conducted the LGS exam on December / January 2018. Many candidates from 14 districts had appeared the exam on 29-4-2017.